This section describes how to run 'Ethereum Wallet --network test' on Ropsten testnet. 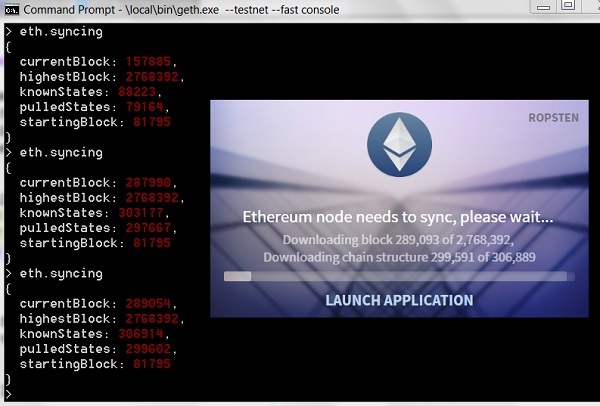 While "geth" is downloading the blockchain from the Ropsten Testnet, let's try to run "Ethereum Wallet" to connect to the running "geth --testnet" node. Wait for few seconds. You will see the Ethereum Wallet screen coming up and display the block download status. The block count matches well with the "eth.syncing" output on "geth --testnet" console. The Ethereum Wallet screen identifies the network as Ropsten on the top right corner.